VIP Design Jaguar F-Type V6 Performance Upgrades : After lots of demand from customers, VIP Design has had the exciting opportunity to carry out some research and development on a Jaguar F-Type V6 this week to see how we could increase its power and performance even further. Already boasting an impressive 340bhp, the Jaguar F-Type V6 was given a range of modifications and upgrades to achieve a staggering 95bhp extra at the crank. 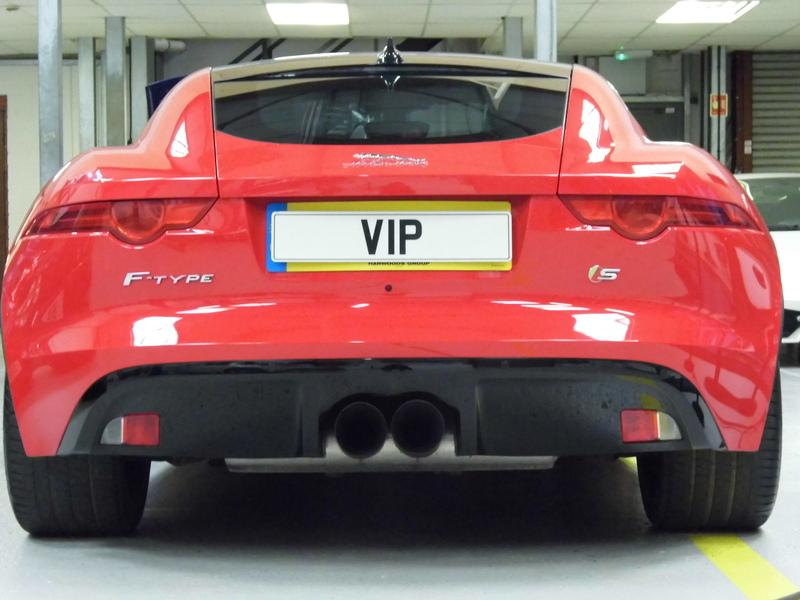 VIP Design enjoys carrying out extensive research and development to work out how it can boost the power and performance of some of the most iconic cars on the road, and this Jaguar F-Type V6 was no exception. With a series of mechanical upgrades combined with ECU software upgrades, the performance of this Jaguar F-Type V6 Performance Upgrades is no comparison to other Jaguar F-Type V6s on the road today. The first element of the mechanical modifications was a set of high performance air filters, which increase air intake into the engine and boost combustion and throttle response. These high performance air filters have been designed to never need replacing and are guaranteed for life. Going hand in hand with the high performance air filters is an uprated Jaguar F-Type charge cooler. This cools the air as it enters the engine, increasing air density in the combustion chamber and boosting performance and power delivery. The addition of a full manifold-back, Jaguar F-Type high performance exhaust increases power in the midrange – just where you need it most! The high performance exhaust comes with 200-cell catalytic converters, which are much less dense than standard Jaguar F-Type cats, allowing exhaust gases to pass through much quicker and increase combustion. The Jaguar F-Type performance exhaust comes with a choice of exhaust tips according to customer taste – also available are VIP Design’s limited edition ‘fighter jet’ tips, which add an eye-catching, stylish look to the rear of the Jaguar F-Type. The Jaguar F-Type performance ECU remap finishes off the suite of upgrades and modifications pulling every element together to ensure they work in perfect harmony. The software upgrade refines the power giving the Jaguar F-Type an astounding increase of 95bhp, massively improving its performance and responsiveness. VIP Design also offers a range of styling upgrades for the Jaguar F-Type, including carbon-fibre diffusers, splitters and side-skirts, as well as lowered suspension, uprated polyurethane suspension bushes, and an extensive choice of hand-cast aluminium wheels. For more information about how VIP Design can style your Jaguar F-Type and increase its power and performance, please visit www.vip-design.com, call +44 (0)1789 774444 or email enquiries@vip-design.london.